is an hybrid service between a list of faucets and an advertising platform. Advertisers can promote their business to real, cryptocurrencies users at low rates by creating and sponsoring faucets that show a banner or iframe of their websites. 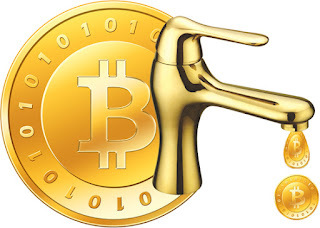 Earners can get coins by simply clicking on the faucets and resolving a captcha. With one single account, you have access to a large list of faucets and multiple currencies. When you create an account, a unique and personal referral code is generated. Go to MY ACCOUNT tag and then click on REFERRALS button to check your referral link. Use this link in any forum, banner, website, email and get as many referrals as you can. Each time that one of your referrals gets a reward you will receive the 5%. As soon as your balance reaches the minimum payment of 0.0005 BTC (or equivalent value for other currencies) you can go to MY ACCOUNT and click on WITHDRAW button. Payments are usually instantly, if the hot wallet is empty or the amount is very huge, then it may need manual confirmation which can take a maximum of 48 hours.